1. What does EDP stand for? EDP means eau de parfum. Our EDPs are in a base of the highest quality undenatured organic cane sugar alcohol instead of the rice bran carrier oil found in our perfume extrait roll-ons. I selected what I thought was the best alcohol on the market. It is considered odorless though if you were to cold sniff it, it would kind of "burn" as if you had just sniffed high proof liquor. There is only a hint of an alcohol odor after you initially spray the perfume, if you can even smell it. It dissipates very quickly and you are left with the scent of the perfume. 2. What size are the bottles? The full size bottles are 60 ml frosted glass (which is 2 fl. oz.) with a black sprayer and overcap. 3.3 mini sprayers will be available for testing purposes or for those who would like a smaller option for their collection or for travel purposes. These are slightly smaller than our 5 ml roll on premium bottles. The 60 ml bottles come packaged in a lovely box with the name of the perfume handwritten on the front. Each full size perfume features a label exclusive to that scent. 3. Will you be offering the EDPs in bottles smaller than 60 ml? No, the EDPs will only be available in the sizes listed in #2. 4. When will these be available? 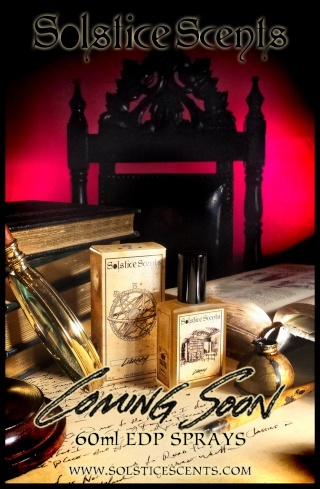 Saturday, August 8th at 6 pm EST along with our Summer Collection perfumes and a selection of Burnishing Glaces. 5. What is this pricing schedule? The full size 60 ml EDPs start at $70. The prices vary depending on the ingredients (especially essential oils and tinctures) used in the formula. Most of the 3.3 ml minis will be priced around $8.75. A few will be priced higher, like White Feather, due to rare and precious essential oils/absolutes, handcrafted tinctures, attars and the addition of our handmade gardenia enfleurage. White Feather will be offered at $125 for 60 ml and $10 for 3.3 ml sample. 6. How can I purchase samples for one of the EDPs? Samples will be available for purchase on a specific listing in the "Perfume Samples" section called "3.3 ml EDP spray samples". They are sold individually and many will be priced at $8.75. 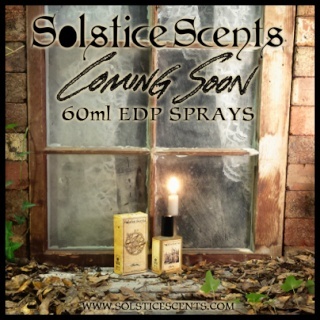 The EDP samples will only be available in 3.3 ml spray format. Each one contains approximately 70 sprays. The amount you will need to apply from the samples depends on the fragrance. Some fragrances are stronger, such as Hidden Lodge, Night Watcher and White Feather and may only require 2 to 3 sprays on clothing and/or 1 spray on each forearm/wrist. Since the mini sprays do not cover exactly the same circumference or dispense the same volume of mist as a spray from our 60 ml full size bottles, you may need to use more sprays of the mini sample to achieve your desired scent strength and longevity. The full size bottles require 2 to 3 sprays on clothing, based on preference (more on that in #8 ). The EDP samples cannot be purchased in the 1 ml sample vial packs and they are not available as free samples at checkout. The free samples at checkout are 1 ml and those samples represent the product offered in the roll on bottles. 7. Which fragrances will be available? We are starting with 11 fragrances. More will be available in the future. The first scents to be offered will be from our General Catalog: Manor, Conjure, Rose Mallow Cream, Vanilla Pipe Tobacco (see question 8 for more info about this one), Night Watcher, Hidden Lodge, Black Forest, White Fox and Library. 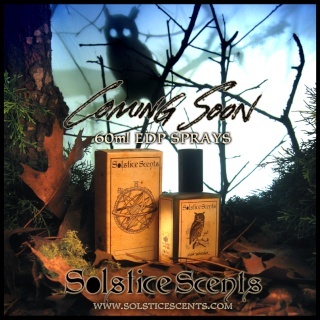 Two brand new fragrances will also be available: Estate Vanilla and White Feather. These last two are perfumes exclusive to the EDP formula and will not be offered in roll on format or 1 ml samples. 60 ml and 3.3 ml minis are the only way to purchase these two fragrances. 8. Will the EDP version of a fragrance smell exactly the same as the roll-on format I already own on the dry down? In most cases, it will smell almost identical with one exception: Vanilla Pipe Tobacco. This perfume was formulated based off of the original recipe and smells very very close to the roll on but it is formulated to be a bit stronger and longer lasting. The recipe is slightly different from the roll on version. The opening is just a little stronger on the chewy dry tobacco note on initial application but after a few minutes, this note recedes and the dry down is just about identical to the VPT you're already familiar with, very sweet vanilla tobacco fragrance that smells like unlit vanilla flavored pipe tobacco. After it has been on the skin for a while, the vanilla warms up and begins to diffuse like the smell of sweet vanilla pipe tobacco smoke that is very pleasant. We think it smells great but you may wish to try a 3.3 ml first before opting for the full size. Some fragrances, like Library, seem to smell more exquisite in the EDP format (my personal opinion), even though it's the same formula used in the oil. The dry down of Library smells like very well worn born leather, soft yet rich and with warm dry wood notes with a bit of dry paper. 9. How strong are the EDPs? Are they as strong or stronger than the roll on bottles? In most cases, the scent strength is similar between the EDP and the roll on. However, the alcohol base allows for a more diffusive scent that will give you a little more throw, especially on clothing. They smell much stronger on initial application overall due to the fine diffusive alcohol mist. These EDPs last a while on clothing and that is where they really shine. All of the ones offered were tested at 2 to 3 generous sprays from the large 60 ml bottles on clothing and we enjoyed pleasant wafting from the clothing. In some cases, the perfume lasted on the clothing for days. We skin tested each 60 ml EDP at one to two sprays per forearm. The wear time for the skin is similar to that of our roll-on perfumes with similar throw/wafting. A few of the scents, like Vanilla Pipe Tobacco, are stronger than the roll on version. If you have a favorite scent that you already own in roller ball format, you could carry that for any touching up you wish to do on your skin later in the day, if you wish. Please see #6 for discussion on the amount of sprays required from the 3.3 ml samples. 10. Will the EDPs be available to international buyers? At this time, the full size bottles will not be available for international shipments. The 3.3 ml samples will be available. 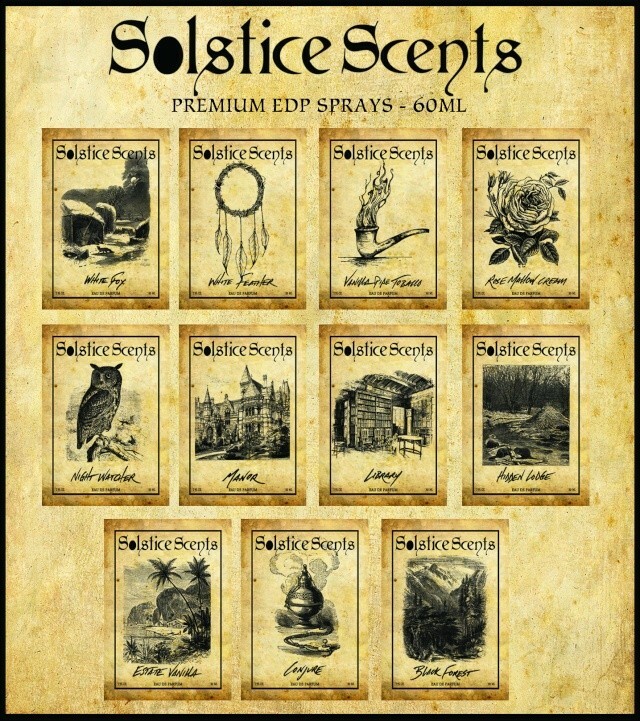 We are working on a solution for our international customers to be able to purchase the 60 ml bottles for rates similar to what you're used to paying for other Solstice Scents goods. This solution will not be available when we first launch the EDPs but we hope to have it in place over the next few months. If you have anyone stateside who is willing to ship on your behalf, that would be the only option at this time. 11. How will the EDPs ship? The 60 ml EDPs will ship via USPS parcel post (called "Standard Shipping" on our site at checkout). This is a slow ground method that will take 6 to 8 days to arrive domestically. We cannot ship these internationally. 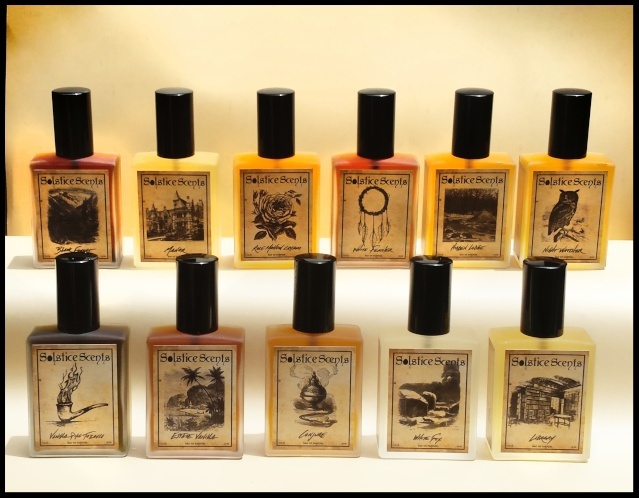 The 3.3 ml samples may ship first class or Priority alone or with other Solstice Scents products domestically and internationally. 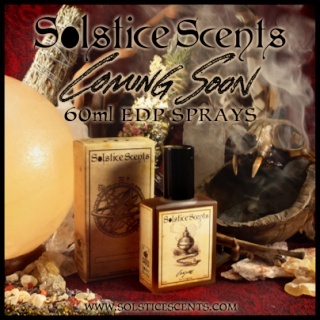 IMPORTANT: If you order a 60 ml EDP as well as other Solstice Scents products, your whole order must ship via Parcel Post (Standard Shipping). If you wish for your other items to ship faster, you must place two separate orders and pay shipping for each order. We will NOT automatically combine orders if one of your orders contains just 60 ml EDPs. We will assume that you wish to have your other SS products arrive faster and that you prefer your EDPs to ship separately. We will combine orders if asked but just remember any order(s) with a full size 60 ml EDP must ship Parcel Post/Standard shipping. 12.OTHER INFORMATION: Keep out of reach of children. Keep away from open flame as alcohol is flammable. Use caution spraying very dark fragrances like Black Forest very close to light colored clothing. 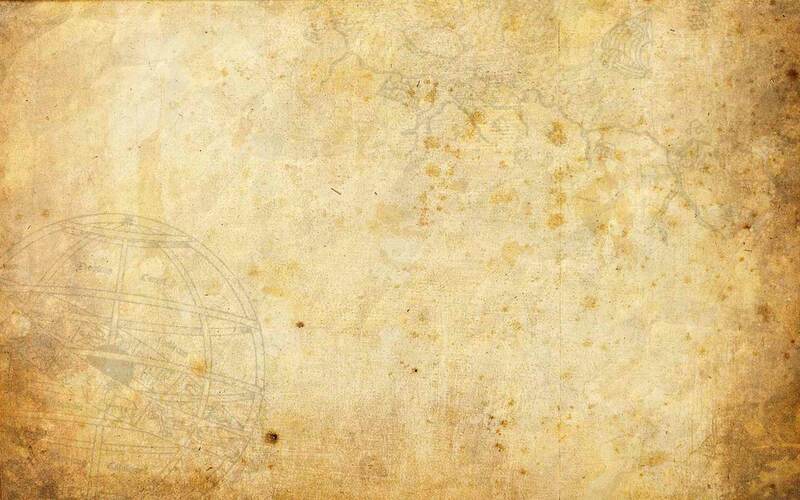 It is best to use adequate distance for the mist to disperse and to avoid staining. Shake Black Forest gently before use. It is not recommended to spray perfume on fine silk clothing. Remember that alcohol is a solvent. Avoid dispersing on furniture. Spray perfumes in a well ventilated area. As with all products, discontinue use if irritation occurs. Avoid spraying perfumes in a drafty area (such as directly under or in front of a fan) as mist may get into eyes. For best results, apply to moisturized skin. This is one technique you may use to increase the longevity of any perfume in your collection, especially alcohol based ones which may be slightly drying to skin. Unlike our 1 ml sample listings, the 3.3 ml EDP samples will be listed with the actual quantity we've made. Our 1 ml samples are made to order but the 3.3 ml are prepared like any other inventory we make: ready to ship with actual quantity listed on the site. Should any of the full bottles or samples sell out, they will no longer be able to be added to your cart. We will restock inventory as soon as possible should this occur. SAMPLE LABEL CARE INFORMATION: Alcohol is a powerful solvent that can dissolve not only the name of your perfume written on your sample label but may even dissolve the color on the label itself. The labels and handwritten name are oil resistant and will stand up to normal handling. Do not touch label if your fingers have any alcohol on them to preserve your labels. The 60 ml labels have printed labels with the name printed directly on them but alcohol may still damage labels so the same instructions still apply.